Apart from liking The Ting Tings’s first album in its own right, I have always been amused by the fact that Jules De Martino played drums for obscure and long-forgotten band Babakoto in the eighties. Their one single, “Just To Get By” didn’t make much of a splash, but I loved it. I still have it on a cassette tape somewhere — from back in the days when “downloading” meant hoping you could press “record” quickly enough when it came on the radio. Gosh. Anyway, I just kind of skipped over The Ting Tings’s second album. I remember reading some interviews in which they talked about why it had taken them four years to put it together, and seeing a few luke-warm reviews, and I never got around to listening to it at all. When I was booking tickets for upcoming gigs a month or two ago, I saw that they were playing Paradiso…and I ignored the date. My mind didn’t even register that a tour implied a new album. 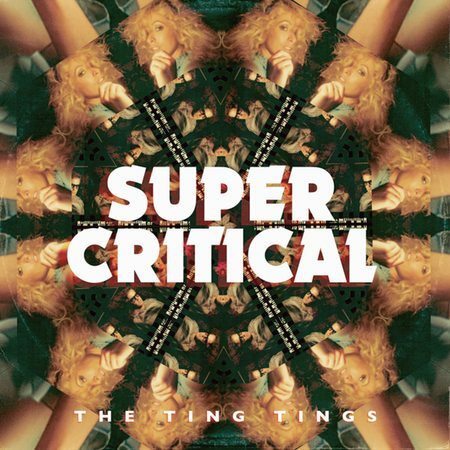 It was only when I saw the new album Super Critical featured in iTunes (while I was buying Taylor Swift’s 1989) that it caught my attention. I’ve been listening to Super Critical and their second album Sounds from Nowheresville on Spotify for the last couple of days and they’re really quite good. Not storming chart hits, but there are some excellent tracks on there. Super Critical is short and sweet, with lots of funky Nile Rodgers-style guitar licks and updated disco beats. Sounds from Nowheresville is more complex and varied: punky on “Guggenheim”, low-key synth-powered “One By One”, flat-out rocking out on “Give It Back”. So I’ve just booked my ticket to see them at Paradiso on Sunday 16th November. Should be good. Area 11 have a new EP out next week, and are on tour in the UK in November. Unfortunately my travel doesn’t quite mesh up, and I’ll miss their dates in Glasgow and Edinburgh. Next time, maybe. Echopraxia didn’t really work for me. I found the main character (Daniel Brüks) the least sympathetic of a bland cast. The novel is packed full of fascinating scientific ideas, but they came across as either too fleeting or overly didactic. In fact, the clearest presentation of the ideas came in the appendix at the end, which is richly footnoted and contains enough links for a solid year of further reading. On the plane to Edinburgh this week I watched Killing Them Softly, which was tried to be earnest in its black humour, but only succeeded in being bleak and needlessly gory. The parallels between the underworld economy and the 2008 financial collapse are laid on thick and unsubtly. Two and a half stars, ish? My perception may have been coloured by the fact that I watched almost all of it while the plane was stuck on the tarmac for an hour waiting for an exit slot, after having already been delayed by an hour and a half because of thunder storms. At least it wasn’t cancelled. Wednesday evening was a curry at Omar Khayyam’s and a drink at Thomson’s with Woody. Wasn’t feeling too great on Thursday; stayed in and binged on the first half of season 1 of Continuum on Netflix. I finished watching the rest of the season today, and it’s pretty decent. Not enormously original, but entertaining. The ten episodes risked falling into a repetitive pattern in the middle, but towards the end it kept raising more questions and introducing new elements that kept the tension high. Liked it. Listening: Settle by Disclosure is hitting my EDM sweet spot right now. “Latch” is a radio favourite here in NL, but I’m not tired of it yet. The closing track, “Help Me Lose My Mind” features a shimmering tambourine that sounds like the ghost of a pneumatic drill just outside my window. If I’m deep in concentration, it really does occasionally make me look up and wonder why there are roadworks at midnight. Good work delivering on that title. That may all seem obvious. But as a consequence of these basic language differences, it’s really easy to criticize or dismiss work that falls outside a musical dialect we’re comfortable with, or the role music currently plays in our lives. Twitter claims this change showing favorites to others generates more engagement, and people sometimes click on the “favorited” tweet they have been shown. I believe that but who cares? The problem with this course of action is not that it doesn’t generate engagement, but that it violates the social expectation of the favoriter, who did not intend to broadcast this act, and steps over the social signal function of favorite, which for many has come to mean: “I’ve seen this [and appreciate it] but am choosing NOT to broadcast this to everyone but only conveying it to you.” It has other uses as well, (in fact, a researcher found 25 functions) but Twitter’s favorite is widely used by many as the opposite of Twitter’s broadcast, the retweet, as an individualized and quiet signal as the “notification” tab will show it to the user whose tweet was favorited, but will not broadcast it to all followers. On the subject of signals, what do Medium’s teeny-tiny author bylines say about their attitude to the importance of “content creators”? I finished consolidating all of the domain names I manage at a single registrar, gandi.net. Their admin tools are simple but powerful, and their interface isn’t constantly trying to upsell me to products I don’t need. I finished consolidating all these domains and sites on a pair of VPS instances at Linode in their London data centre. I’ve run sunpig.com on shared hosting at Pair.com for the last ten years or so, and they have been consistently excellent. However, I’m running more than just PHP and static HTML these days, and the extra flexibility of a VPS is welcome. Sunpig.com now runs over HTTPS instead of HTTP. I’m using gandi.net as my certificate provider as well, just to keep things simple. They don’t issue SHA2 certificates yet, but their latest newsletter says they will soon. I’ll upgrade when they arrive, and sort out forward secrecy at that point as well. Probably. Okay, so not really exciting. But it’s all been on my todo list for, like, ever, and I’m glad to get it all nice and tidy. Server gardening. 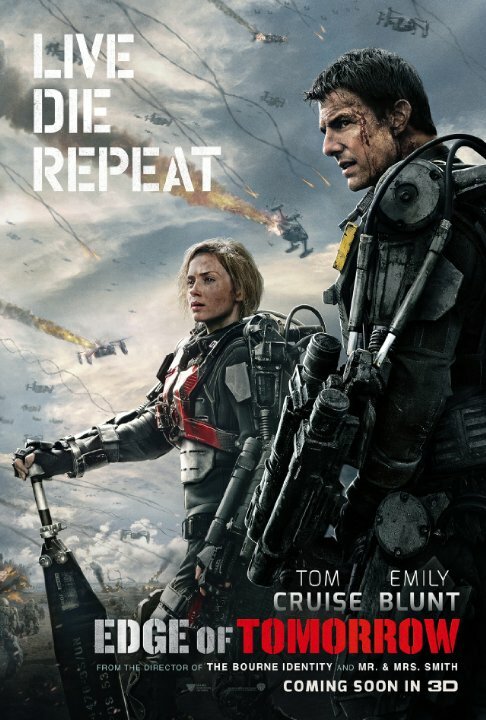 We watched Edge of Tomorrow on Sunday, and it was good. Strong performances from Emily Blunt and Tom Cruise in the leads, and the balance of action and humour was just right. The situation lends itself to Groundhog Day comic moments, but they aren’t overplayed. I liked that the film didn’t spend a lot of time on exposition. It assumes that you will understand what’s going on, and that you can keep up with the time loops. The ending is flawed, but not bad. They couldn’t quite figure out how to shut it down cleanly…so they just didn’t. I was very reluctant to read this. 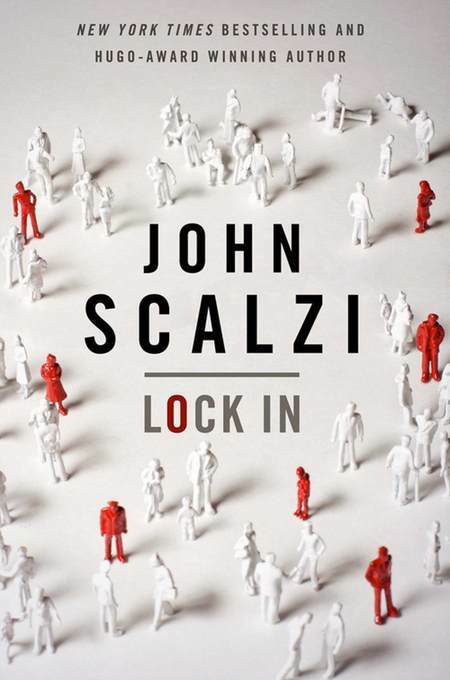 I like Scalzi’s books in general, but the core idea of Lock In, that a worldwide epidemic has left a proportion of the population in a locked-in state, pushes phobia buttons for me. It’s something I think about regularly, and not in my happier moments. It’s on my mind whenever I look at my music collection in iTunes, and see how many long my 4+5-star rated playlist is (currently 2134 songs, 6 days 9 hours play time). I crave new music, and I think about how long I could handle listening to the same collection over and over again. Would that collection be enough of a seed for a serviec like Last.fm or Spotify to build me an ongoing stream of new things I would like? It’s a phobia. It doesn’t have to be rational. Anyway, after figuring out that the book is more of a science fiction police procedural (one of my favourite genre blends) than about locked-in syndrome as such, I finally made a start on it. And because it’s Scalzi, it’s a very easy start. Engaging characters, fast-moving plot right from the start, believable setting, and a breezy writing style make the pages fly by. The mystery genuinely depends on the science fictional ideas, rather than merely resting on them as a backdrop. The only quibble I had was that the ending felt too familiar. Not the revelation of whodunnit as such, but its execution. Scalzi has a penchant for writing climactic scenes that involve smart characters all sitting together and exchanging smart dialogue to explain the super-smart resolution they’ve figured out, and Lock In has one just like that. I suppose that’s like complaining about a pizza for being covered in cheese, though. Lock In is packed with great ideas, but it didn’t leave me feeling thrilled. I ordered The Magicians’ Land by Lev Grossman and Echopraxia by Peter Watts from Transreal last week, and they arrived yesterday. 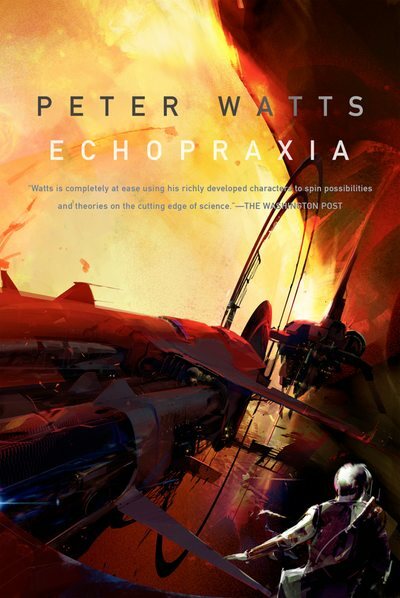 Echopraxia takes place in the same universe as Blindsight, one of the most unsettling books I’ve ever read. I’m feeling somewhat scared in advance of starting Echopraxia, but in a good way. Also been playing a lot of Elite: Dangerous lately, and it’s still good. Because Elite involves a certain amount of nostalgia for me, I did a search the other day for “The Micro User”, a the BBC Model B magazine I used to eagerly await, and copy-type code listings from. (Saving to cassette tape!) Found an archive of scans at http://8bs.com/tmucovers.htm. 1984. Those issues. Wow.